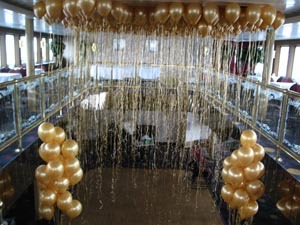 Starbright Prepares For 21st Valentine’s Day in NYC! We’re up to our noses in flowers! There’s no shortage of Romance in NYC this week! With Valentine’s Day 2015 just around the corner, New York City is abuzz with a Valentine’s Day glow that can just give you goose-bumps. The romance is so heavy in the air it’s practically steaming, just like the vapors of the Nuts’4’Nuts cart. Strolling through New York City you can almost hear St.Valentine himself, banging on the lid of a taxi as he crosses 6th avenue, yelling “I’m walking here!” as he scopes out another love-lorn hopeful with his old buddy Cupid. Whether you’ve got a special someone, several special someones, or several special cats there’s only good things about February 14th. There’s no end of things to do in the city – you can take in a Broadway show, go eat a romantically-lit dinner from anywhere in the world or see some hot jazz in a cool club. If you’re in the mood to cheer on another couple’s real life love-story head over to Times Square. Nine happy couples will be getting married there this Saturday in front of the Times Square Valentine Heart Design winner, “Heartbeat,” by Brooklyn-based outfit Stereotank. This interactive beating-heart drum reacts to sound and movement and it’s pretty impressive (check it out on Bustler here). 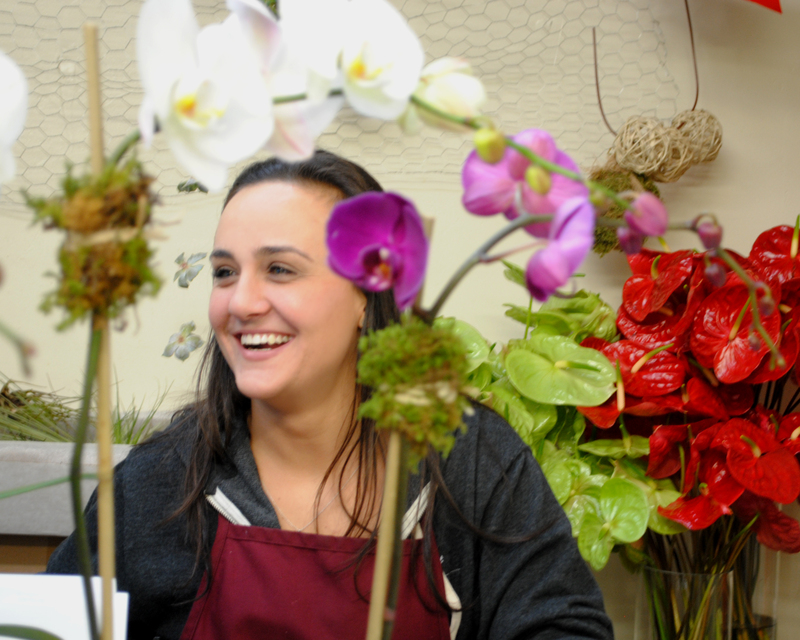 Here at Starbright Floral Design, we’re pretty obsessed with Valentine’s Day too. 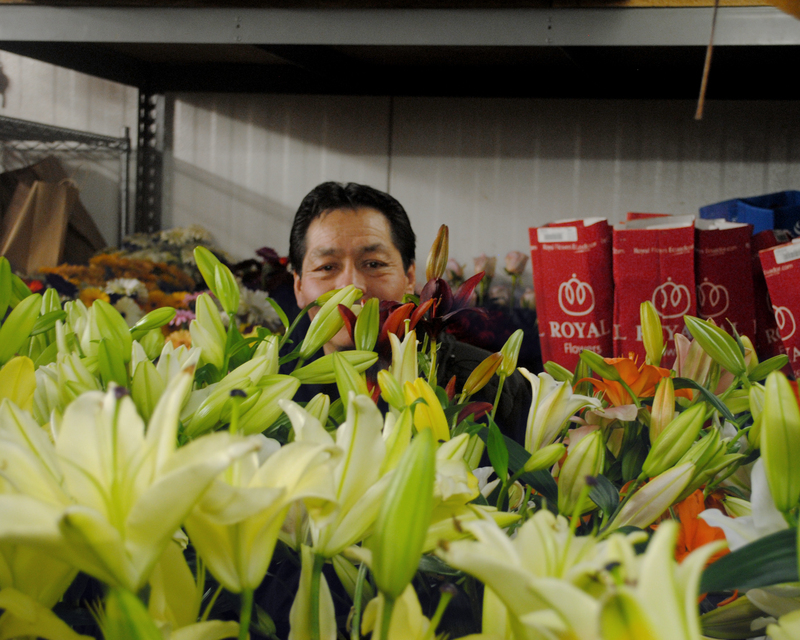 It’s a great time in the shop; the floral coolers are full, most of the staff is smiling on-site and energy levels are high. To kick off the season right, the Starbright designers each created custom heart-shaped arrangements for our V-Day 2015 Heart Collection. These unique arrangements all represent the personalized style of our design team and pack a whole bunch of extra love. 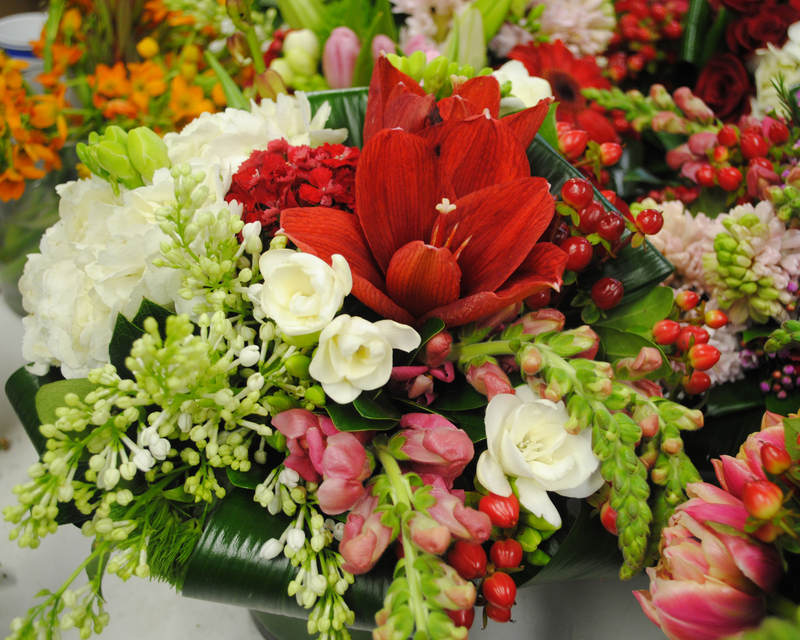 We’re also excited to be creating arrangements from the “helpfully” romantic Valentine’s Day Flowers Collection. Every Valentine’s day serves up it’s own set of unique challenges. Last year, despite a foot of snow, Starbright was able to send out over 2,000 orders for Valentine’s Day. So how did we manage? It all starts in the back. 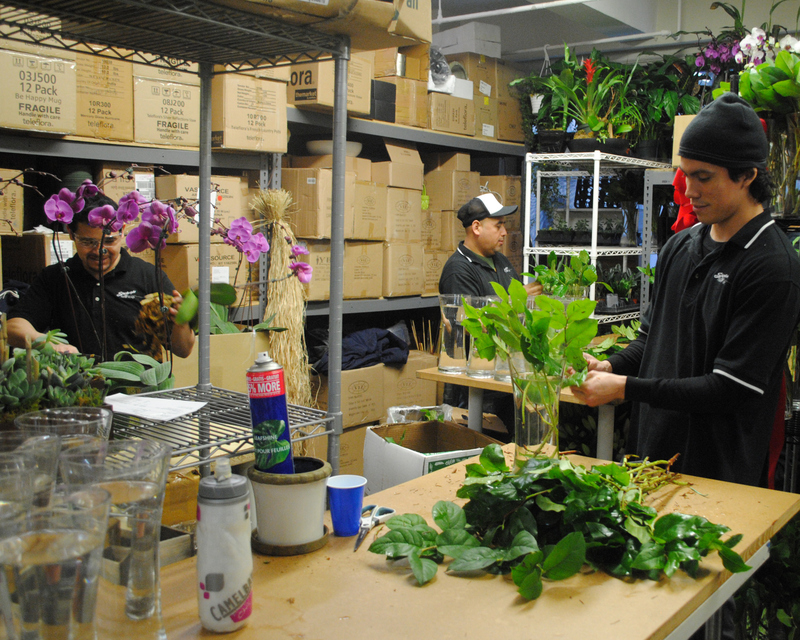 After unpacking, washing and shelving A LOT of vases, the guys begin adding greens for storage. Vases aren’t the only thing getting prepared. 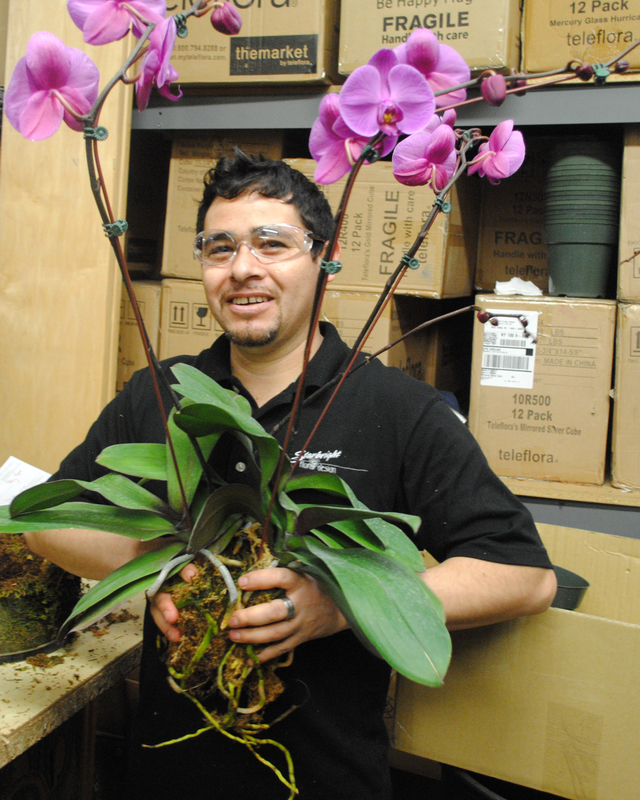 Antonio works on planting orchids for clients looking for something that will looking for a lasting gift. Orchids are great for brightening up apartments or office spaces and they are pretty easy to take care of – here’s some tips for taking care of an orchid plant. Antonio preps an orchid for planting. We have a couple first-timers at Starbright this Valentine’s Day. Emilia, one of Starbright’s designers, is excited for the days ahead. Nothing to worry about here – Emilia is ready for the big day! Byron checks some details in Starbright’s large catalogue of styles. Did we mention that Byron made the arrangements for the front table? To make sure you get the most from your Valentine’s Day flowers, check out this post for taking care of cut flowers. 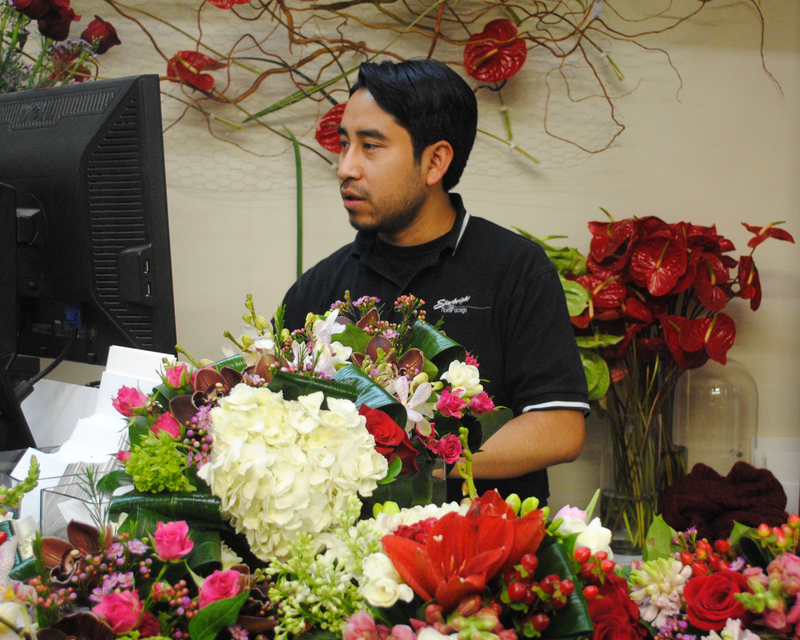 Author Starbright Floral Design of NYCPosted on February 11, 2015 Categories All About Starbright, New YorkTags floral design, flowers, New York City Florist, nyc, romance, Valentine's DayLeave a comment on Starbright Prepares For 21st Valentine’s Day in NYC! Those in the know claim that Valentine’s Day holiday celebrations are derived from Roman tradition. Many pagan traditions, such as Holloween, were adopted in some form by Christianity. One legend has it derived from the ancient Roman festival of Lupercalis. The festival involved the young women of Rome placing their names in an urn. The young men would then draw a name of a woman who would be their sexual companion for the year. In 496 AD the Pope in Rome declared it a Christian holiday to be observed on February 14 in honor of Saint Valentine, a Roman martyr who died in the third century. The Roman Emperor Claudius II issued an edict forbidding marriage for young men. Marriage made men emotionally attached to their family, therefore weak soldiers. It is said Valentine was a Roman priest who was murdered because he held secret marriages in opposition to the emperor’s edict. Thus 14th of February became a day for all lovers and Valentine became its Patron Saint. England climbed aboard the love train by the 18th century. Gift-giving and exchanging hand-made cards on Valentine’s Day had become common. Hand-made valentine cards made of lace, ribbons, and featuring cupids and hearts became popular and handed to one’s love interest. The tradition spread to the American colonies. However, it wasn’t until the 1840’s when greeting cards were commercially produced that the holiday really caught on in the United States. The first mass producer of the card were the brain child of Esther A. Howland. The conspiracy theorist in me finds it extremely peculiar that the first mass marketer of Valentine’s Day, in an age when women’s rights were reserved to the right to keep quiet, was a woman. 72% of Women polled would break up with their love interest if no gift is given on Valentine’s Day (the other 28% would accept a gift the day before or day after instead). Conclusion: Valentine’s Day, from Roman times to today, created by women for women. For that florists throughout say THANKS!